Dorothy T. Dunkley, 93, of Boise, Idaho passed away peacefully in her home surrounded by her family on Tuesday, October 23, 2018. She was born December 8, 1924 in Whitney, Idaho to Lucy Clayson Tanner and George LeRoy Tanner. Dorothy grew up on a farm in Whitney, Idaho, where she learned to work hard. Playing the piano was a big part of her growing up years. Dorothy was Student Body Vice President at Preston Senior High School. She played the piano solo “Malaguena” at her high school graduation. Dorothy graduated in Home Economics from Utah State Agricultural College. She became an excellent seamstress while in college and was active in student government. 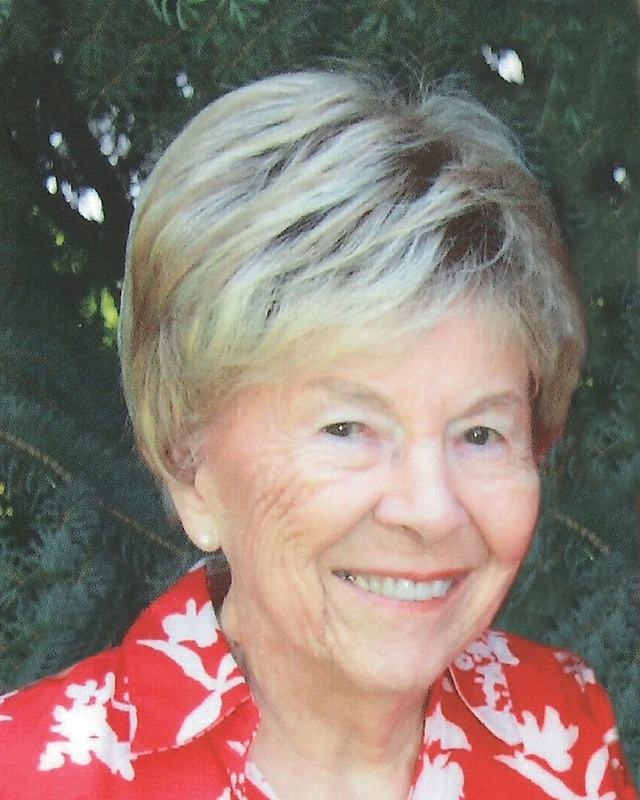 She served a church mission for The Church of Jesus Christ of Latter-day Saints in the North Central States Mission. Dorothy was married and sealed to William K Dunkley on June 10, 1948 in the Logan Temple. They celebrated their 70th wedding anniversary this past summer. Dorothy and William K began their married life in Ogden, Utah. They moved in 1950 to Boise, Idaho to start Dunkley Music. When they first began the music business, Dorothy would manage the store while William K went out of town with a truckload of pianos – selling them door to door. Dorothy was a great musical supporter in the community. She was active in Tuesday Musical. She willingly served as president of the organization for several years. Dorothy loved history and family. She was a member of the Daughters of Utah Pioneers. She was an active member of The Church of Jesus Christ of Latter-day Saints. She served as a Relief Society President, taught in the church young women’s program, and was often the ward organist. Dorothy loved the many years she served in the Boise Temple. As a snowbird to Arizona, she was also able to serve as a temple worker in the Mesa Temple. Much of her church service was in a supportive role to her husband as he served in many leadership roles. Dorothy was a loving mother of five children. She will be missed by her husband, William K Dunkley; children, son Bruce K Dunkley (deceased), daughter-in-law Laurie, daughter Sylvia Hessing, son William T. (Sheri) Dunkley, son Mark (Karen) Dunkley, and daughter Rosemary Kirkland; sister, June Merrell; and brother, Glen (Jean) Tanner. Dorothy has 40 grandchildren and 62 great-grandchildren. We will miss you Mom. Funeral services will be held Saturday, October 27, 2018, at 11:00 a.m. at The Church of Jesus Christ of Latter-day Saints Chapel located at 3229 N. Bogus Basin Rd., Boise, with a viewing beginning at 9:30 a.m. until 10:45 a.m. Interment will be held at Dry Creek Cemetery. Services are under the direction of Relyea Funeral Chapel.